Pretender Motormaster is made up of parts from several toys. 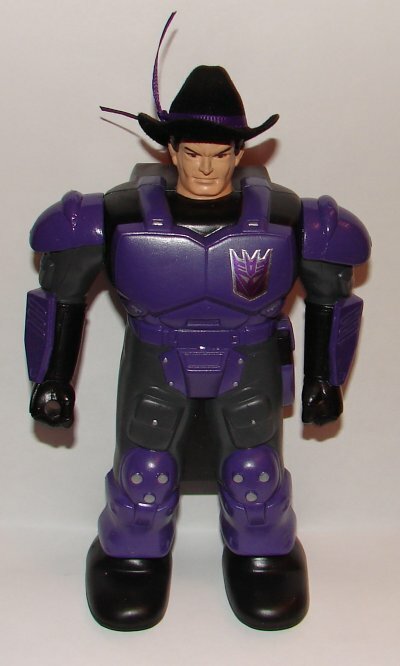 His shell is from Generation One Pretender Jazz repainted in purple and black. 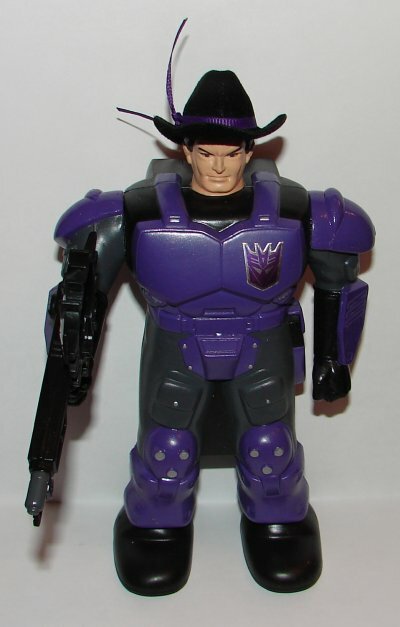 He has a black cowboy hat added with a purple ribbon. It looks very cool. His inner robot is made from a Transformers Cybertron Scout Armorhide. Like the shell it has been repainted in purple and black. 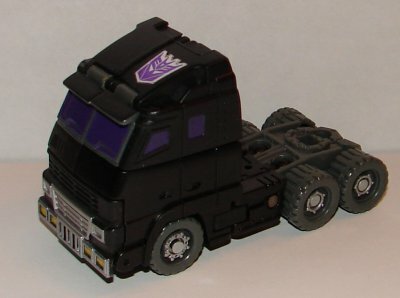 His vehicle mode can be easily modified to fit inside the shell by sliding the cab top back. 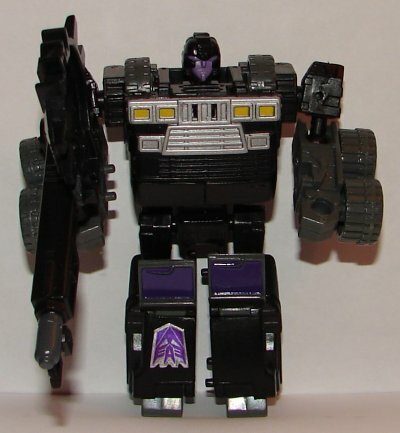 His gun is Armorhide’s gun painted black. However, he does not come with Armorhide’s Cyber Key. 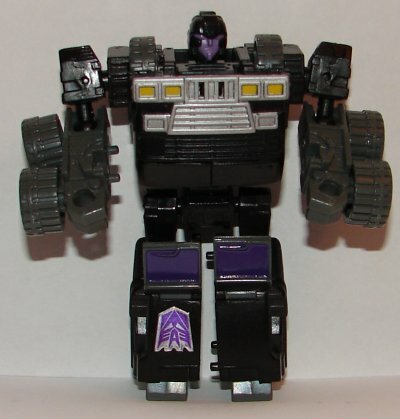 Instead he comes with a Planet X Cyber Key, also repainted in black with a Decepticon logo on the inside. The Planet X Cyber Key was included with three different toys, if I recall correctly, Deluxe Unicron, Deluxe Sideways, and Voyager Soundwave, all from the Cybertron series. 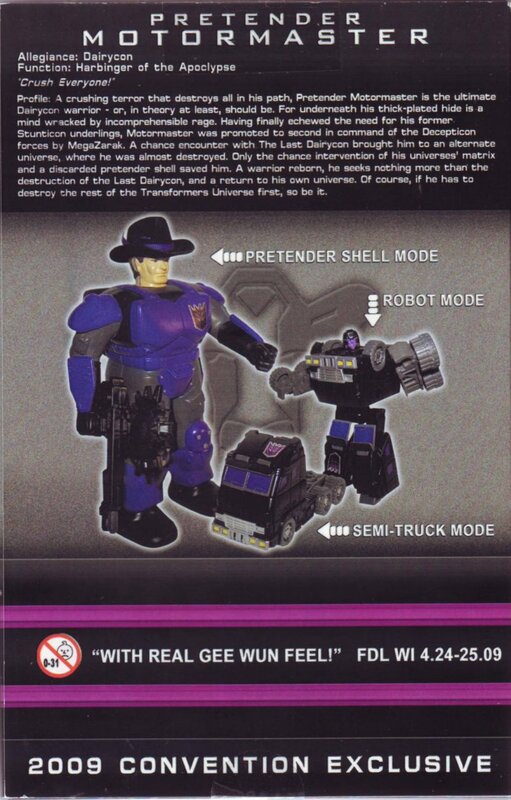 On the back of Motormaster’s box is a bio and quote. If you cannot read the bio in the picture you can read it here. Preregistration for Dairycon 2013 is now closed. 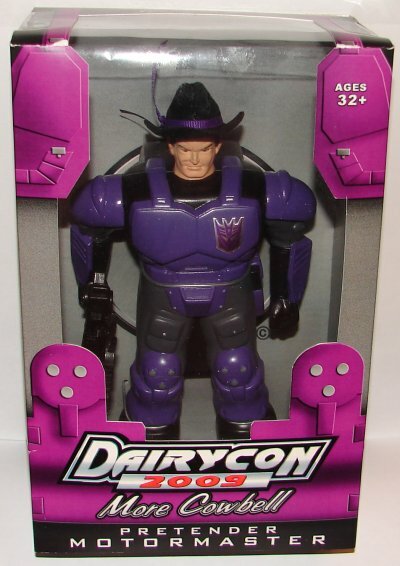 This entry was posted in Toy Reviews, Toys, Transformers and tagged Botcon, Dairycon, Dairycon 2009, Motormaster, Pretender Motormaster, Toys, Transformers. Bookmark the permalink. Howdy! This is the third time visiting now and I really just wanted to say I truley fancy reading through your blog website. a bit more exposure. Be back soon. Oh. My. God. How did you get that?! Those are impossible to find! 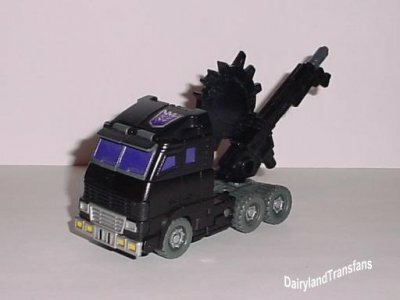 The only one harder to get is the Pretender Convoy they did the year after! Quite a find. Color me jealous.